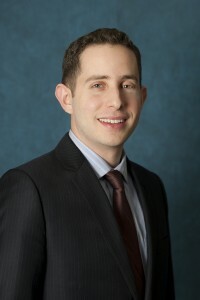 Shuey Jacoby is the Executive Director of Yeshiva University High Schools. A YU and MTA Alumnus, he spent a year as the Jesselson Family Presidential Fellow for the YU High School for Boys (MTA). Shuey then became the Director of Admissions at MTA before leaving to attend NYU Stern School of Business for his MBA and Columbia University for a masters in sports management. His love of sports led to various internships with the Washington Capitals, New York Mets, Bloomberg Sports, and Madison Square Garden, where he also began working full time in 2012. In December 2014, Shuey was offered his current position at MTA and excitedly returned to Yeshiva University. The job is incredibly meaningful; while I use many of the same skill sets I had used at my prior job, the work and the product itself feels more valuable. Working within the vibrant educational culture of YU – and specifically at the high schools – means I get to spend my days in an exciting, fast-paced and fun environment interacting with students, teachers, parents and fellow administrators. 2. What profession did you think you would one day hold when you were a child? At one point, I was dead set on being an airline pilot. I also had stints of wanting to be a doctor, police officer, actor and lawyer. I finally settled on wanting to be the General Manager of a major league baseball club early in high school. 3. What is your goal as Executive Director of Yeshiva University High Schools? Both MTA and Central – as the lab schools of a top tier university – are able to provide unparalleled opportunities for each of their students. Students come to the schools from all over the NY region – and even all over the world – choosing to take a longer commute to be able to partake in the incredible educational experience that’s provided. In sports, successful teams are constantly focused on the holistic customer experience since team performance is somewhat out of their control; At MSG, fans are already greeted at the entranceway with massive overhead screens, engaging people the second they step inside. Similarly at YU High Schools, I believe it is our responsibility to engage each student – religiously, academically and socially – from the moment they enroll and then for the rest of their lives. It’s also an exciting time at MTA as the school just turned 99 years old. MTA is the first and the oldest academic Jewish high school in North America and we’re gearing up for the Centennial celebration. I’d like to make sure we celebrate this massive achievement to its fullest. A few years ago, I guest starred on an episode of “Law & Order: SVU.” (Some might call it being an extra). The episode was called “Unorthodox” and I’m quite proud of my approximately 4.5 seconds of appearing in the background. I currently serve, in a volunteer capacity, as the Director of Development of the David Wright Foundation. I actually first met David as a YC student when I was an Editor for The Commentator and had convinced the Mets to provide me with a Press Pass. He happened to start the foundation shortly after and I was able to get involved just after the foundation was founded. Let’s go Mets!